The Karnataka State Basketball Association has expressed its condolences at the sad demise of former International Basketball player and former vice president and Secretary of Karnataka State Basketball Association, Mr. S V JAYARAM. 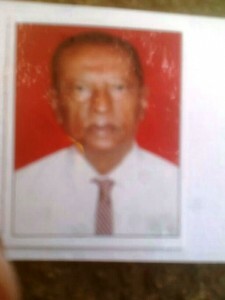 Mr Jayaram, aged 81 yrs, passed away at 3. 45 am on 15-2-14 due to a heart attack and has left behind his wife and two sons. How a professional basketball league could revolutionize hoops in IndiaKarnataka Basketball: BFI IMG RELIANCE State School League Bangalore 2013-14.